When storing large quantities of chemical storage, or when you just need your chemical storage organized and easily accessed our chemical storage racks can provide just that. 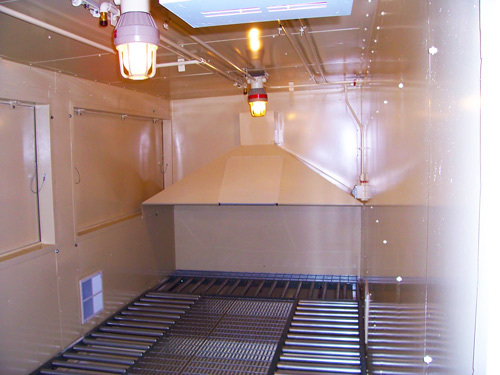 Make your manufacturing operations streamlined with a racking system from US Chemical Storage. Our sliding tote and pallet racks provides a simple system of enveloping carts that allow your next tote or pallet to move to the front for increased efficiency. The sliding tote and pallet rack provides increased production levels, is extremely durable, and can be fitted for customized sizes and configurations. Our standard tote and pallet rack allows is designed for industrial use. Constructed from heavy-gauge steel provides the ability to hold 5,600 lbs. per pallet and are fully customizable. Increase your organization while increasing your production levels with the standard tote and pallet rack from US Chemical Storage. Gas cylinder racks provide an easy way to store and organize your cylinder containers. Providing you with increased safety and increased organization. The gas cylinder rack is easier for transportation and custom fit for each gas cylinder. US Chemical Storage is dedicated to keeping your hazmat 100% fully compliant. No matter what type of hazmat is being stored, US Chemical Storage keeps it maintained, while keeping your personnel, facility and investments safe. All of our buildings can be customized to ensure that your chemical storage is extremely safe. We offer the most dependable and safest cooling systems on the market today. If you need your chemical storage building to be kept at a specific thermostat range our cooling systems provide a dependable solution. Providing you with explosion proof or non-explosion proof cooling systems to keep your chemical storage completely managed. With US Chemical Storage your hazardous material storage or hazardous materials storage waste will remain safe and compliant. Choose from our wide variety of parts and accessories to make your chemical storage building compliant and safe.